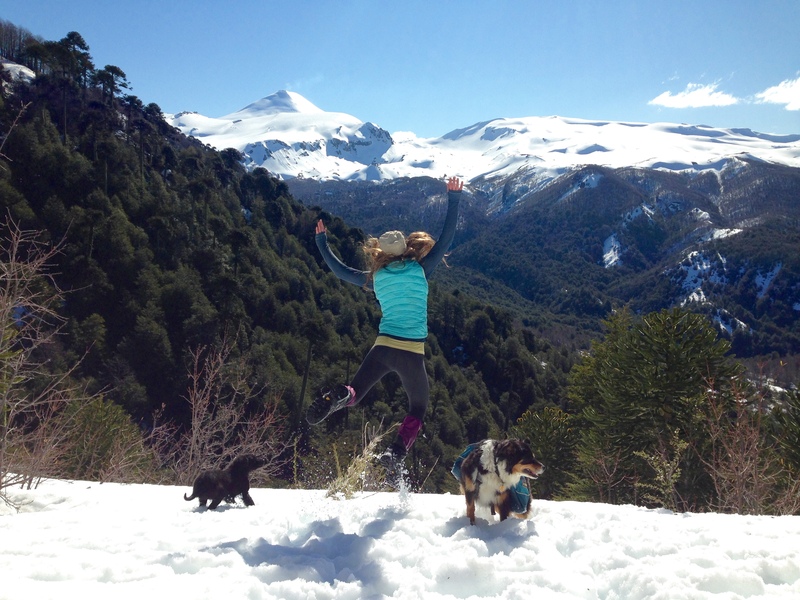 My legs were on fire, the muscles burning with exhaustion from the effort to overcome gravity and continue up the steep slope through the knee-deep snow. The sun shone warmly, reflecting bright rays back up from the white, untouched snow. The bright blue sky was a welcome surprise, having begun the day under heavy cloud cover and the prospect of rain. The air was brisk with the slightest hint of warmth, a whisper of the coming spring. My heart felt fit to burst, but not from the exercise, it was pumping wildly from the ear-to-ear smile across my face, overflowing with gratitude and joy for this moment, in this place, and every single moment before it that brought me here. 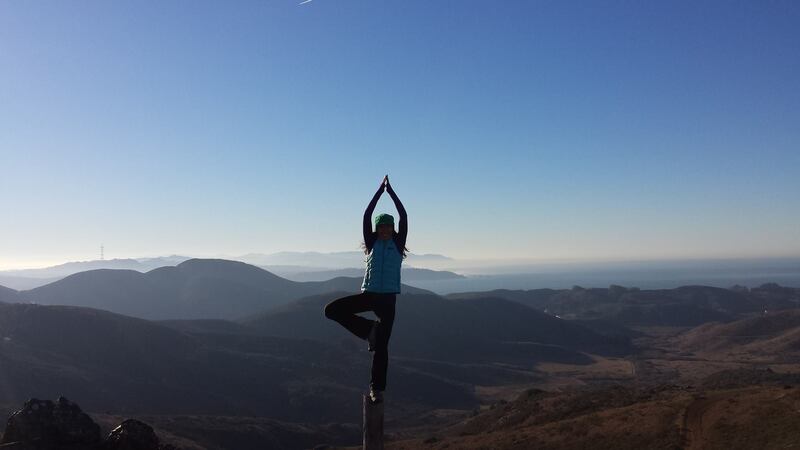 Gratitude for the feeling of full participation in my own life. A year ago I let go of a lot of things I loved in order to make space for the things that truly brought me joy in life. I left a company filled with wonderful people, and work that was fulfilling and meaningful. I also left a daily commute through the bustling city streets of San Francisco and the required daily onslaught of emails and hours in front of a computer in the confines of an office building. I left a comfortable little rent-controlled one-bedroom in Noe Valley with a hot tub and a lemon tree. I also left the “need” for a bigger home and more things to fill it with. I left beloved wild places all around the USA that I could have spent a lifetime exploring. I also left the limitation of the brief two-day weekend window in which I was allowed to explore them. 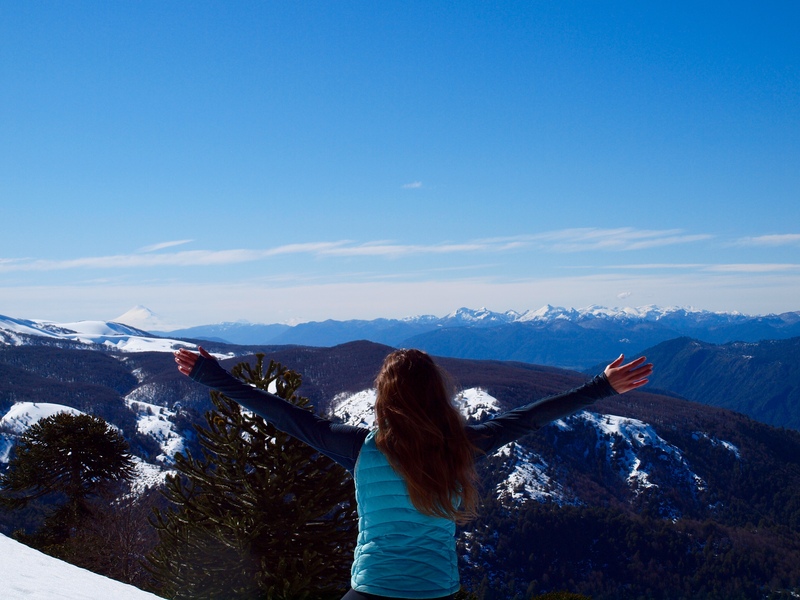 As I take a break in the middle of this mountain in Southern Chile, on a Tuesday, my snowboard strapped to my back, my chest heaving, the sunshine drawing sweat from my brow- that joy and gratitude threatening to burst forth from my heart is inspired by that decision to choose a different path for my life. It is a brief moment taken to celebrate the delicacy of life, to acknowledge the preciousness of it, and to be thankful for the courage to step onto the unmarked path and break trail on my own. Recently I received news that a beautiful soul had lost his life while climbing Mount Kilimanjaro. 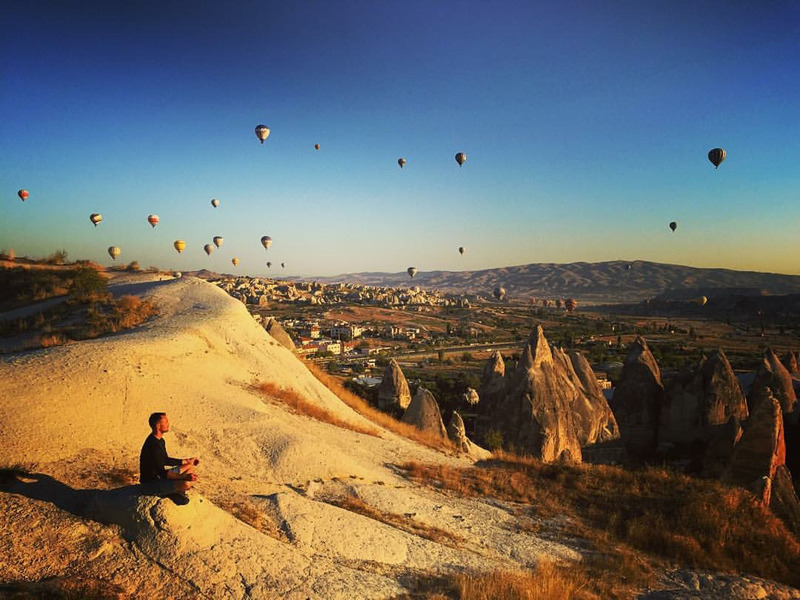 To say the least, Scott Dinsmore was a beacon of light in this world. In his very brief time on this planet, he directly impacted hundreds of thousands of people, inspiring them to let go of the things in their life that aren’t working to pursue what they are passionate about. With all of his interactions- in person, over email, or in his writing/recordings online, he emitted an energy that was both inspiring and challenging, that embraced you while also pushing you. And he could achieve this without even really knowing you. He built a global community, Live Your Legend, that existed with the sole purpose of positively encouraging one another to pursue our dreams and build a meaningful life. With the news of his death, this community came together and thousands of people have expressed how Scott changed their lives, many of whom he never even met. This, is a life well lived. Regardless of its length, the depth of his life is simply incredible. “I almost decided not to book this Tanzania trip because I didn’t think I could (or should) step away. How ridiculous is that? 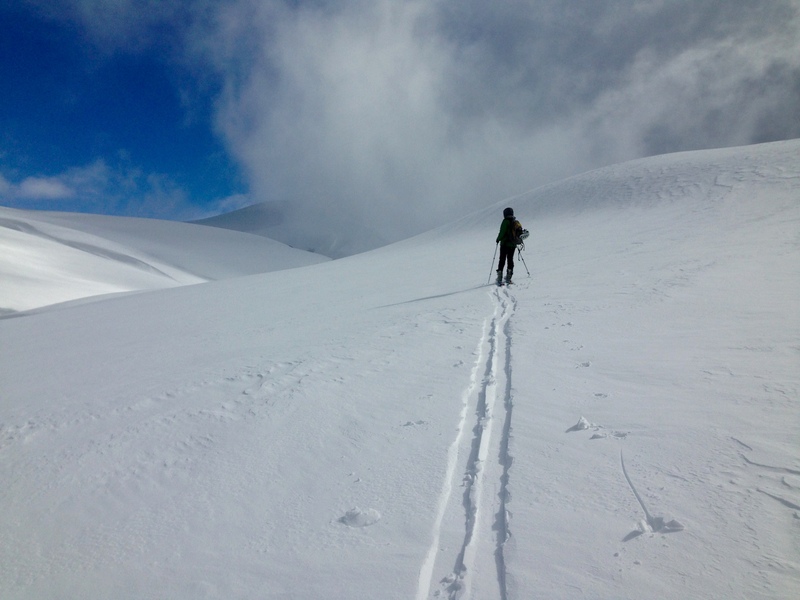 To pass up an adventure I’ve talked about for years – because I’d convinced myself I couldn’t disconnect. Or more truthfully, because I couldn’t find the courage to do it. The gut reaction when reading these words is that it was a tragedy for him to have gone for it, because by doing so he lost his life. But that is the kicker of it all- it is not a tragedy for him, it is a tragedy for those of us who feel the pain of his loss. For him, it is a grand success. It is the essence of the life that he decided to live. Mount Kilimanjaro was the whole point of the journey up to that moment, and had he not pursued it, then it would have been him who experienced the tragedy of a dream unfollowed. Scott didn’t die just doing something that he loved, he died having lived a life that he truly loved, one he celebrated often, and as a result one that will continue to inspire love, risk and a tireless addiction to life in countless other people around this world. We should all be so bold. We should all be so courageous to consider pursuing a life that threatens to explode our hearts with gratitude because it is simply So. Damn. Beautiful. How different would this world look if we did? That is what Scott was trying to accomplish, and he certainly initiated the ripples necessary to bring about waves of positive change. For me, this year has been all about embracing this boldness. I’ve taken time to redefine the work that I do, and take it beyond the confines of the corporate definition. And I’ve committed to spending more time in wild places, which brings me the purest form of joy and inspiration. Although I have a much less “public” life than Scott, and I am still exploring the delicate vulnerability of using my voice in a public manner, his boldness with his own vulnerability is a constant source of inspiration for me as I embark on new adventures in a public space. I know that I met Scott for a reason and that I too have an opportunity to inspire others by encouraging a tireless addiction to life by choosing to live deeply myself. Take a moment to jump for joy when you feel as though your heart may explode with gratitude. Laugh, run, turn your face toward the sun and jump. 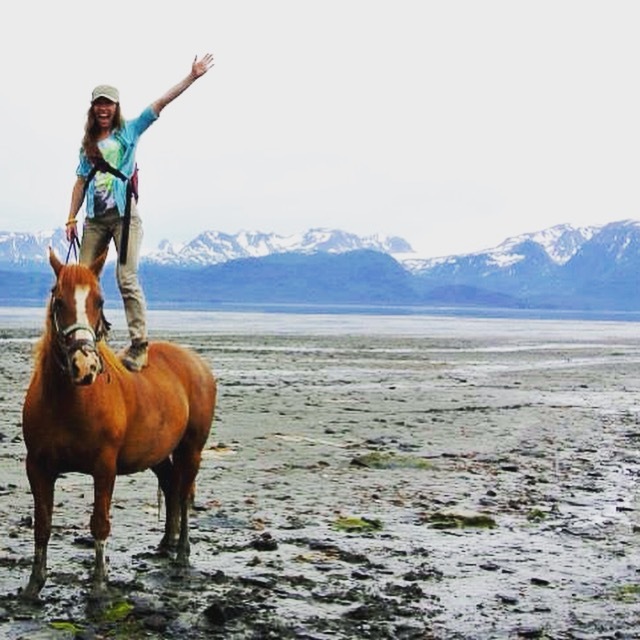 In January 2016, I am planning to ride my horse, self-supported, along the length of the Chilean Patagonia. The estimated distance will be 1200KM (around 745 miles) of the Carretera Austral, although we’ll likely be venturing off trail quite a bit as I connect with local ranches en route. I am estimating that the ride will take two months, and it will take us through some of the most pristine and wild places I have ever experienced. The purpose of my ride is to celebrate simplicity while inspiring curiosity. I will be focusing on the necessity to travel light (and as a result reduce our general consumption and the negative impact on the planet) and celebrate the simplicity of life on the trail. 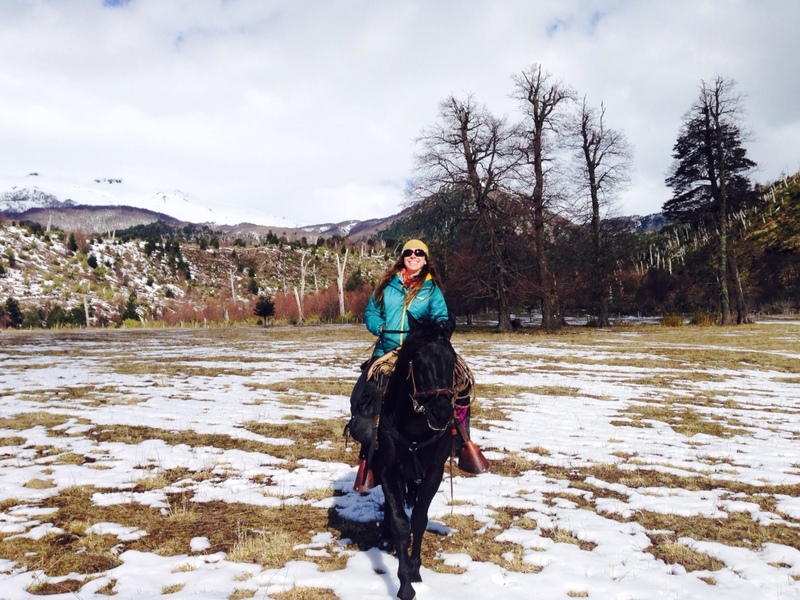 Getting ready to take to the mountains of Patagonia on horseback! I will also be weaving my passion for sustainable supply chains and corporate social responsibility into my ride. Rather than asking companies to sponsor me with new gear, I’ll be connecting with a handful of the companies who made the things already I own, and asking them to sponsor transparency in their supply chain by helping me tell the story of where my things come from. It’s a little like “Worn Wear” meets “Planet Money Makes A T-Shirt”– I plan to weave the stories of the raw materials, the factory production, the transcontinental shipping, all of these “life-stories” of my things, into the stories of our adventures in the harsh and wild conditions of Patagonia. My intent in doing this is to tell beautiful stories that invoke curiosity about product life cycles, inspire reflection on the life we give the things we own, and motivate action that encourages greater transparency in supply chains globally. Something that Scott said during his TedEx talk several years ago was “What is the work you can’t not do?”- and these words are on repeat now as I wrap my head around the logistics, the costs, and the raw reality of embracing this adventure. This ride will challenge me physically, mentally and emotionally, but it will also challenge me to use my voice in a way that is meaningful- to lead a revolution beyond just conscious consumerism toward curious consumerism, and to bring environmental impact to the forefront of all business and personal consumption decisions. This is the work I can’t not do. So with that, I am putting this out there in an effort to open every door possible and see the “hows” unfold. All the pieces of this expedition puzzle are not yet in place, but Scott also said you should take “imperfect action”- even if you aren’t 100% ready- so here I go. I ask that if you are interested in contributing to this adventure and revolution in any way, feel free to reach out to me here – I am always looking for thought partners! You can also follow along with updates on the expedition as it evolves here. Finally, if you want to join me in my efforts to build a community of Curious Consumers, watch this space, I will soon be creating a place where you can join me in taking the Pledge. I have also been a part of Scott’s community for a few years. I was sadden by the news because it encouraged me to finally start a blog I have thought about for years. Thank you for reading g and your positive feedback, I appreciate it sooo much. I look forward to continuing to read about your adventures. This was beautiful Greta. I was crying by the end of it. I never met Scot. Yet I feel so sad he’s gone. I wish you the best in your new venture. I believe that the “how” will work itself out effortlessly. Chopra talks about the infinite organising power of the Universe. You are already an incredible source of inspiration in how you live your life.